When war broke out in Algeria, the French authorities pressed for a specialized twin-engine aircraft, more heavily armed and better protected. In September 1954, the Air Force issued a job sheet defining the specifications for a multi-mission twin-turboprop aircraft: weight under 5 tonnes, range of 1,080 nm, cruising speed of 216 knots and weapons including two 30-mm cannons, bombs and rockets or air-to-ground missiles. Later, liaison transport and training capabilities were added to these fire-support criteria. the MD 410 Spirale for fire-support, with liaison as a secondary capability. Voltigeur, also produced as a model by GAMD under the name Spirale. If the general staff chose the ground attack version, the two corporations would devote their efforts to developing the Voltigeur or the Spirale ; if the general staff preferred to have a major liaison aircraft with a wing-mounted load capacity, then they would work together on the Communauté. The MD 410 Spirale was a short take-off and landing aircraft. This version of the Communauté intended for observation and armed intervention (tactical support) could also carry the logistics back-up of the vertical take-off Mirages. While keeping the wings and engines of the Communauté, the Spirale had a narrower fuselage, better suited to ground attack missions. Weighing 5.5 tonnes, it had some 90% of parts in common with the Communauté. In March 1960, against the background of developments in the Algerian war and the urgent need for fire-support aircraft, the Air Force decided to order American surplus material (AD Skyraiders and the T28A), thus renouncing on any French products. The Spirale nonetheless made its maiden flight at Bordeaux-Mérignac on April 8, 1960, with Paul Boudier and Gilles Brecq at the controls. As the Air Force general staff were eager to have an inter-forces cooperation aircraft, another project was presented: the Spirale III (an exact enlargement of the Spirale 01 by a factor of 1.3). 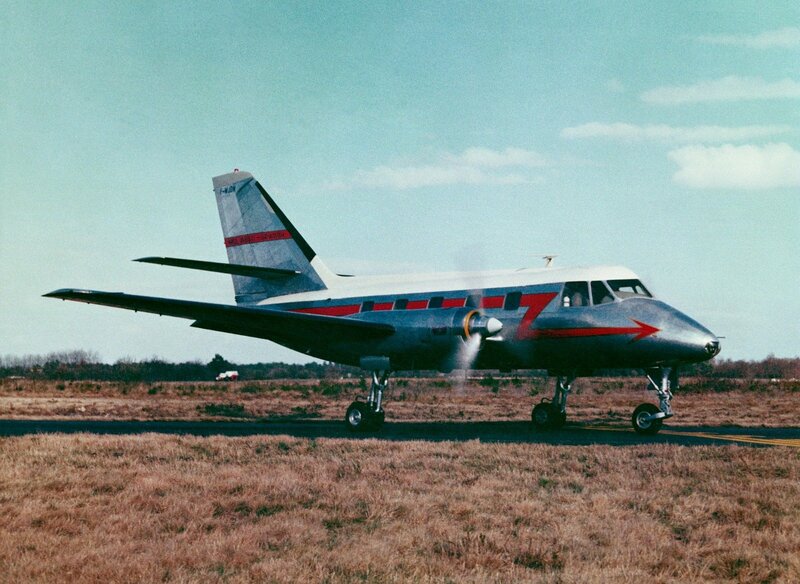 This light short take-off and landing military transport was to be equipped with twin 1,295 hp Turboméca Turmo III D turboprops. 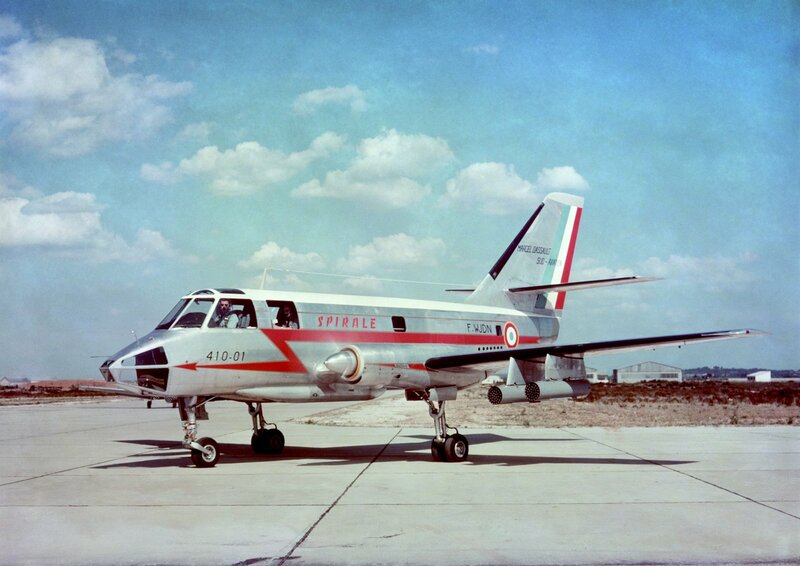 For Sud-Aviation and Dassault, this aircraft met the requirements of the Air Force, as well as those of small companies for their secondary connections. In January 1962, the defense procurement (Comité Technique des Programmes et des Fabrications d’Armement – CTPFA) chose the Spirale III. Two prototypes were ordered on April 24, but the contract was broken off on August 20 for lack of funding, even though Italy, Australia and South Africa had all, at one time or another, shown in interest in the aircraft. However the war in Algeria was over.